Already inhabiting the projected path of this “locomotive” are thousands of Campesino and Afro-descendent populations, over 100 distinct First Nations as well as some of planet Earth´s most scarce and vital sources of fresh water, cultivable land and endemic species. In the wake of this locomotive´s “development” is a mass of open pit mines laden with toxic chemicals, hundreds of thousands of hectares of agro fuel plantations, and environmentally disastrous oil and gas extraction. The latter has created a web of pipelines that divide ecosystems and communities. Finally, there are the hydroelectric dams that create colossal reservoirs and kill rivers and the communities that rely on them. Nationally, this collection of extraction projects is part of the prior government´s neoliberal Colombia 2025 project, which details the timeline for selling off the country piece by piece starting in the early 2000s through the end of the first quarter of the 21st century. 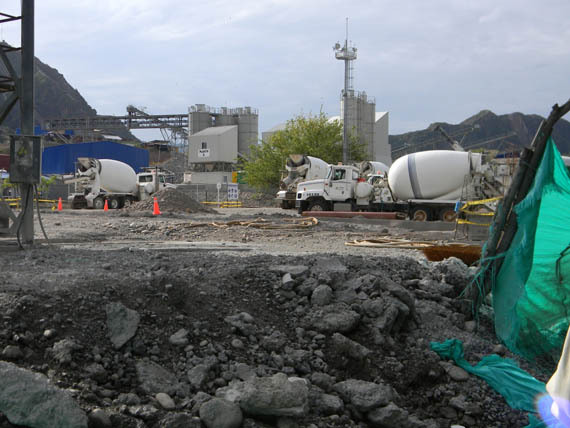 Internationally they are part of the continental mega infrastructure projects of Project Mesoamerica and the South American Regional Infrastructure Initiative (IIRSA). 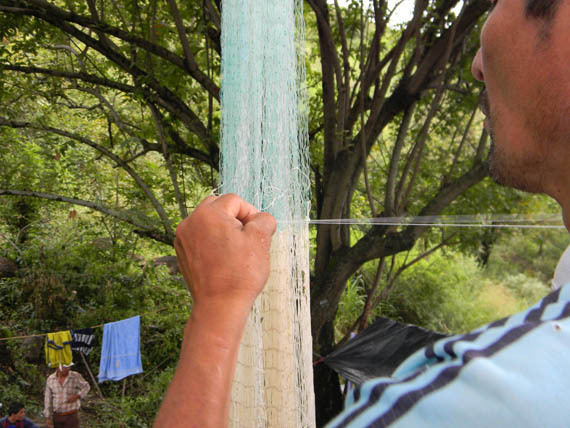 “Colombia has over a dozen large hydroelectric dams being constructed all of the country. 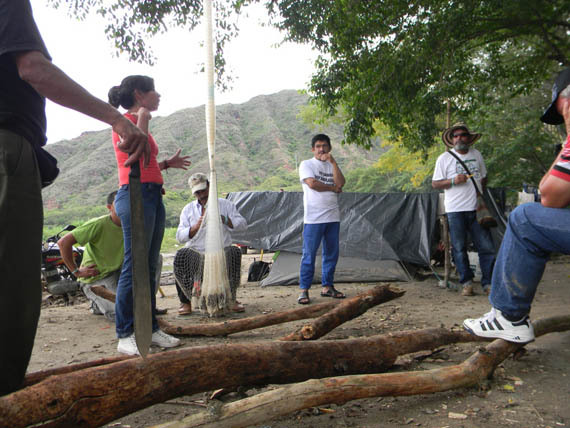 All of these projects have violated some legal procedure in their implementation thus creating resistance from the communities that would be affected,” shared Juan Pablo Soler, a coordinator of the Ríos Vivos Movement. The Ríos Vivos Movement is a national movement bringing together all the communities that are threatened by dams or the diverting of rivers. “The Movement against the Quimbo is part of a larger movement that demands that ‘Rivers are for life, not death’.” says Soler. 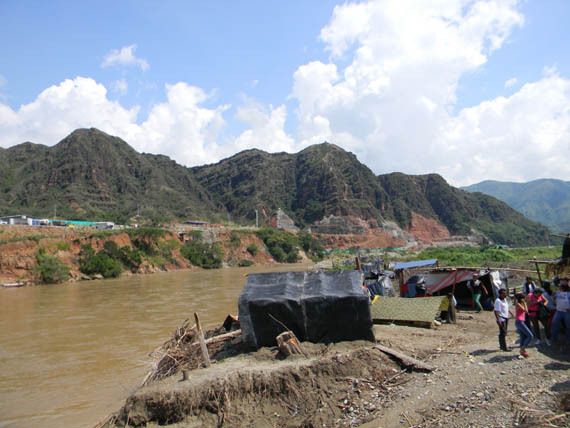 In the Upper Magdalena River Valley (originally the Guacahayo River), the peoples of the central part of what is now the Department of Huila, inspired by the global Occupy movement, initiated a regional strike on January 3rd that lasted for two weeks. 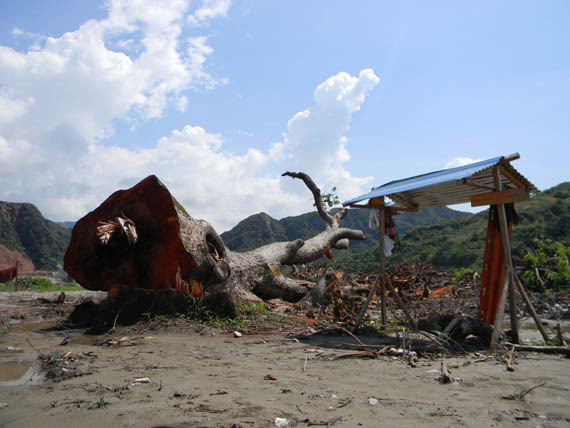 The strike was called by the Association of Communities Affected by the Quimbo Hydroelectric Project (ASOQUIMBO), the Civic Committee of La Plata, the Regional Indigenous Council of Huila (CRIHU) and the communities near the Matambo Mountain and the Páramo of Miraflores peak being devastated by the Emerald Energy Petroleum Company. These communities united to form the Regional Movement for Defense of the Territory with a clear message: multi-national corporations out of our territory! 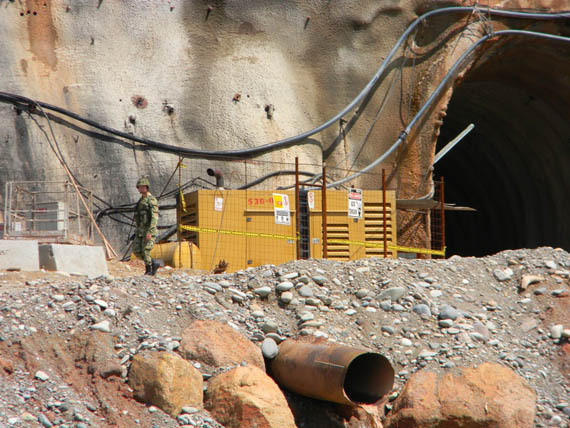 That same week the Comptroller´s Office opened “preliminary investigations” against the Ministry of Environment, the Regional Environmental Autonomous Corporation (CAM) and INVIAS- National Highway Institute for violations of the environmental license of the Quimbo Hydroelectric Project. 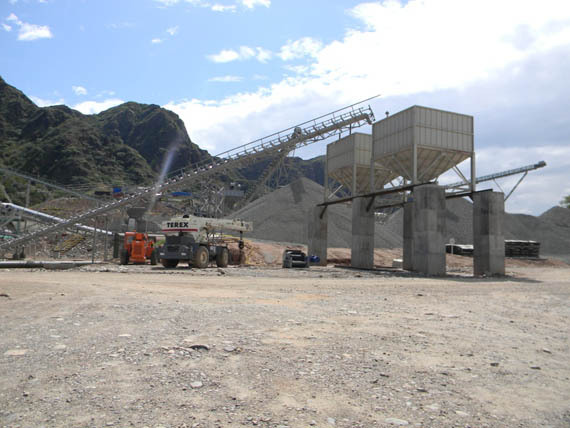 Even though the two week strike effectively paralyzed the construction of the Quimbo Dam, the national corporate television stations and newspapers had a media blackout of the strike. 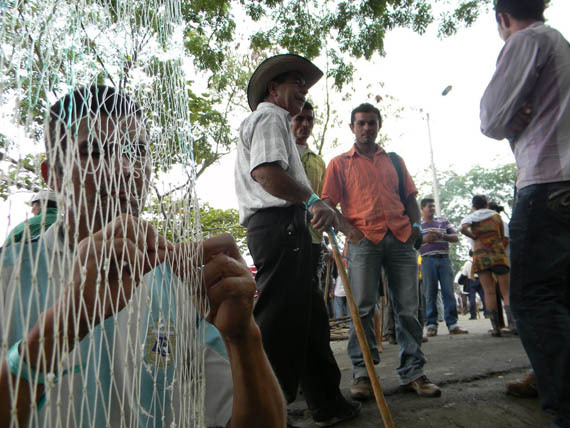 During this time the management of the company responsible for the Dam, Emgesa, used the Colombian military to protect the Dam´s installations and used private security to constantly pressure and intimidate the fisher people, artisans, and other workers into lifting the strike. 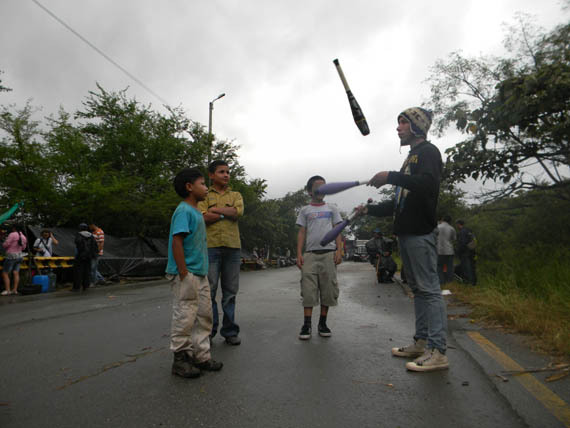 Daily the company tried to sneak in its workers to the construction site, forcing the Campesino Guard, formed and trained by the CRIHU´s Indigenous Guard, to chase and forcibly block the entry of workers trying to enter the site. 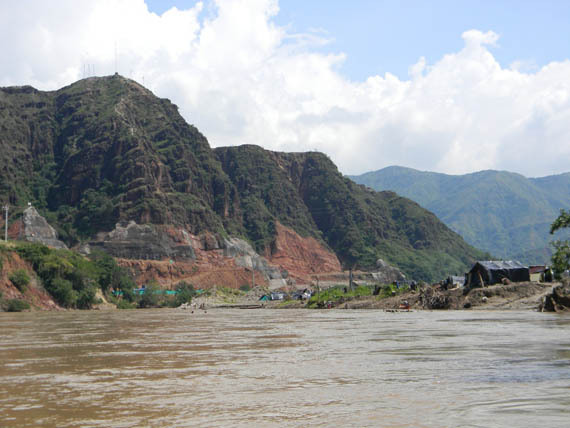 Central Huila is rich in biodiversity and the area that will be covered by the dam´s reservoir has nearly 900 hectares (ha) of Riparian forest ecosystem along the river´s edge, as well as extensive fertile agricultural lands. 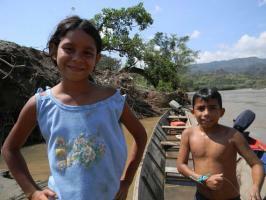 It also includes the region of Río Loro which is where the Colombian Association of Cacao Growers was born. 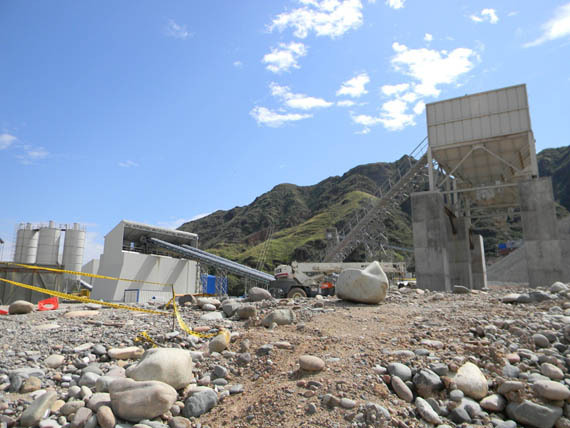 During the last four years, the Quimbo´s construction has not only caused ecological destruction, but increased the cost of living, psychological trauma, and abuses against local communities. 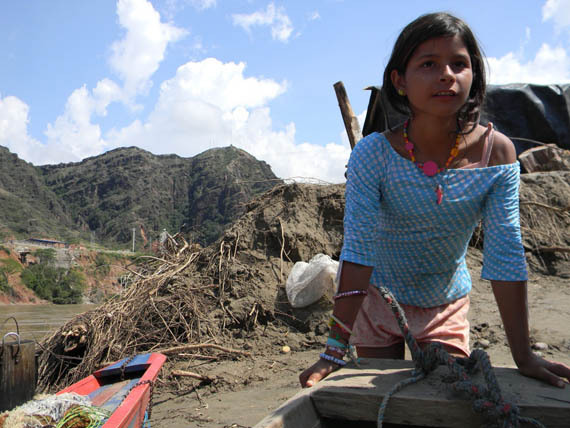 Over 2,000 people live in the region that would be flooded by the 8,500 ha reservoir, though more than 15,000 people in central Huila depend on this region for employment and food production. 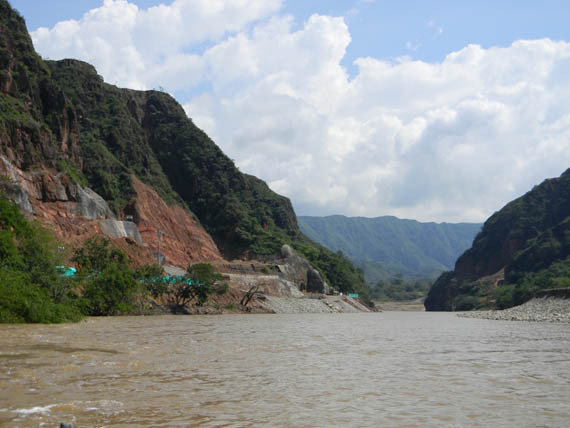 The region´s numerous sensitive tectonic faults, unique archeological finds along with numerous other legal violations have all been effectively ignored or bypassed, in order to impose the dam on the local population. 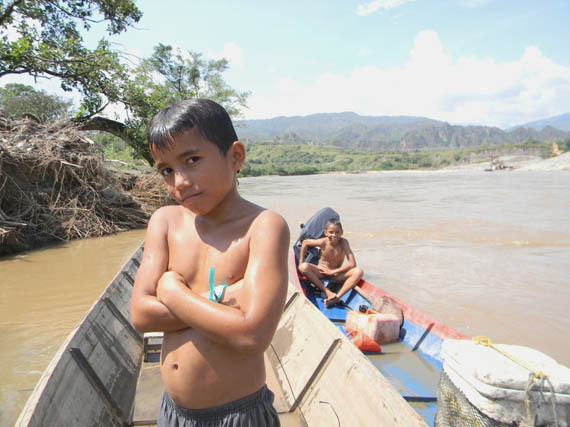 When former President Alvaro Uribe illegally gave the Magdalena River as a “public utility” to Emgesa without an expiration date, the inhabitants of the region lost all rights to be able to gather or take water from the reservoir or within 200 meter of the reservoir’s shores. The strike was only lifted when Minister of the Environment Frank Pearl agreed to meet with the Regional Movement for the Defense of the Territory. 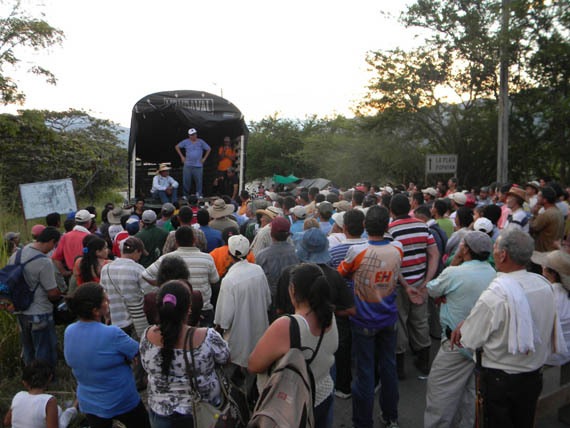 The meeting was mediated by Governor of Huila Cielo Gonzalez who was accompanied by the Vice-President of the Senate Alexander Lopez, both of whom support the strike. 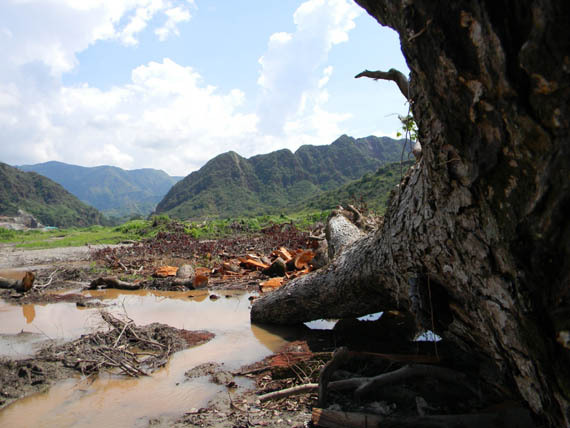 In the meeting, Lopez, made a formal request of the Ministry of the Environment to suspend the diversion of the Magdalena River to prevent an “irreversible catastrophe” until the Ministry presents its review and response to all the cases presented in the Plenary Roundtables which is due on February 3rd. Thus far this request has been ignored. 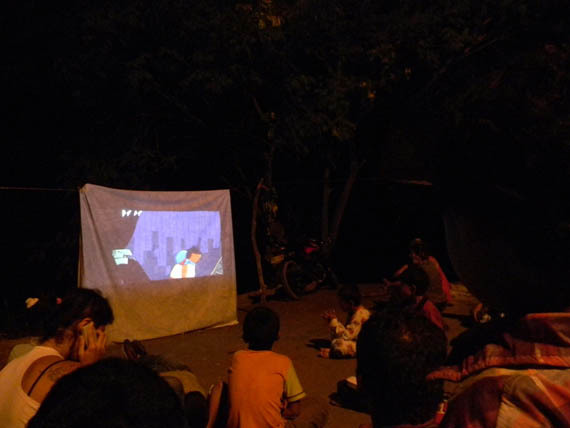 As a result of that meeting, seven different plenary roundtables were held with the communities affected by the corporations. 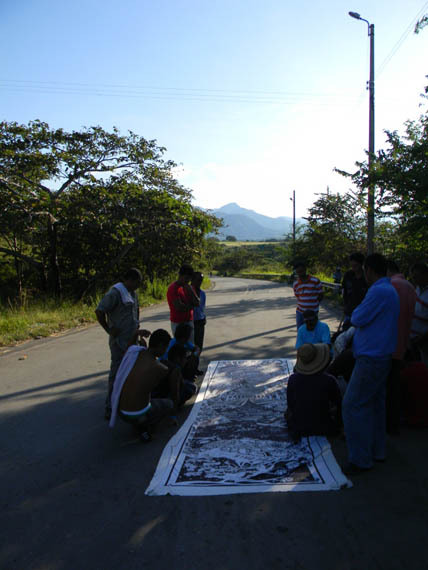 In these roundtables the communities presented to the Comptroller´s and the Ombudsman’s Offices how their rights have been trampled and the terms of the Environmental Licenses have not been followed. They have also shown how the Ministry of the Environment has allowed the companies to do whatever they please with the territory. Even before the first roundtable, director of Environmental Licenses Luz Helena Sarmiento, attempted to violate the agreements of the meeting by inviting Emgesa-Endesa-Enel (Emgesa’s parent company) and Emerald Energy to participate in the roundtables that were specifically intended for the affected communities and the national government. Since the roundtables have started, not a single representative from the Ministry of Environment has shown up even though that was agreed upon in the prior meeting. Nonetheless, representatives of the Comptroller and Ombudsman’s Offices have been present to document the testimonies of the affected. The last roundtable was held on February 3rd with no participation or presence of the Ministry of Environment or the National Government. The Regional Movement for the Defense of the Territory will be resuming the strike on February 5th since the state has not kept to the terms of the agreement. 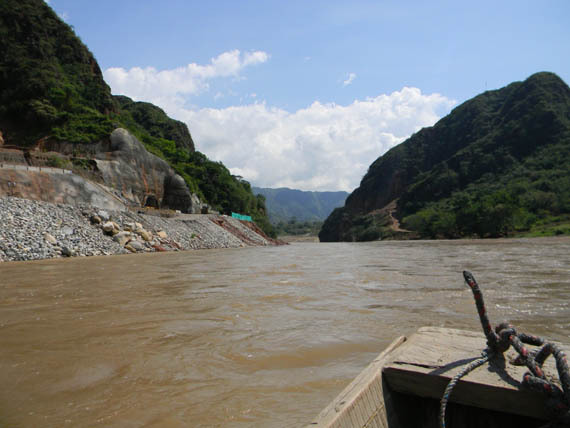 In bad faith, the Ministry of Environment has not suspended the diverting of the Magdalena River or the entire projects for the Quimbo and Emerald Energy projects. This has left the Regional Movement for the Defense of the Territory no other option but to reinstate the regional strike and this time with the objective of completely occupying the Dam construction site and shut down the site indefinitely. 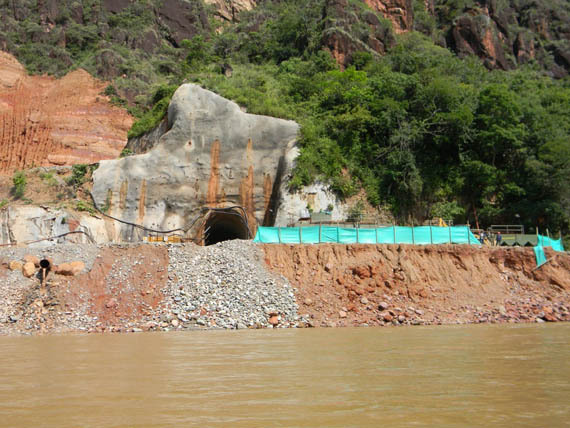 The immediate suspension of the Quimbo Hydroelectric Project´s Environmental License and the best lottery sites ukDiverting of the Magdalena River (Please Sign). Yes to Agro Ecological Food Security Campesino Reserve! 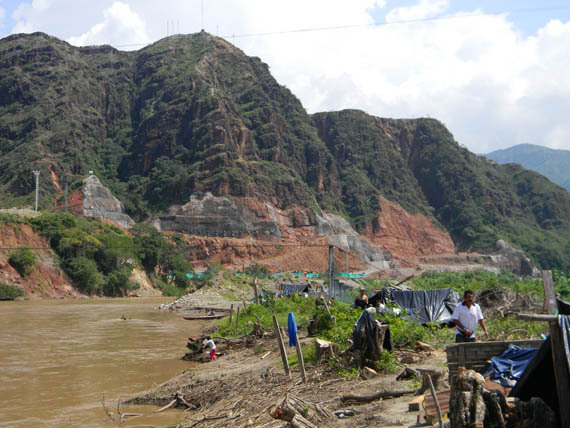 The immediate suspension of the Emerald Energy´s Environmental Licenses in Huila. 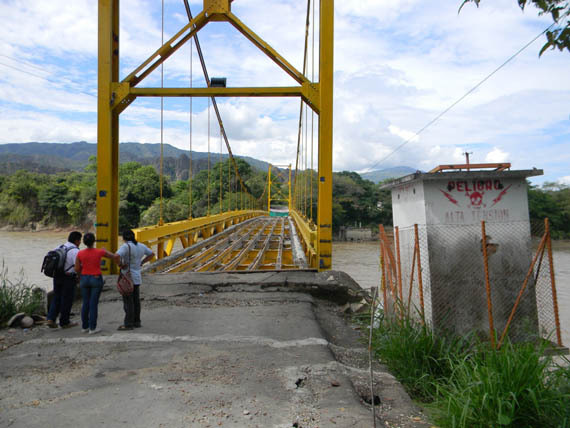 Emgesa to immediately repair the Paso del Colegio Bridge and the other highways that connect La Plata to the rest of the Huila. Entre Aguas is a Miami-born autonomous pollinator with the Beehive Design Collective and a member of ASOQUIMBO who continues to live, love, and struggle within the Cuacua (Suaza) and Guacahayo River Valleys as his people have done so for thousands of years.